Buy Discounted Inflatable Ringo's, Boat Tubes and Towables. We specialise in closeout deals so you can make massive savings versus retail with our cheap prices on a wide range of Water Inflatable toys and towables including the popular O Brien Screamer, Le tube and Depth Charge. We have a huge selection of new and used inflatable water toys for use behind your boat – great for the kids family and friends – these tubes can carry form 1 person up to 6 riders for maximum thrills. O'Brien Sombrero Kickback Towable Inflatable Tube - perfect multi position tube for four riders. Sitting Style 3 Rider Inflatable Water Tube - Seating style for maximum fun! 2018 Jobe Binar 2 Rider Towable Inflatable Bi-directional Tube with comfortable neoprene seat pads, in yellow and blue. Great Value Towable Tube! O'Brien Orbit Plush Top Towable Inflatable Tube with a plush fleece top cover. O'Brien Le Tube - This is the tube that started a revolution! 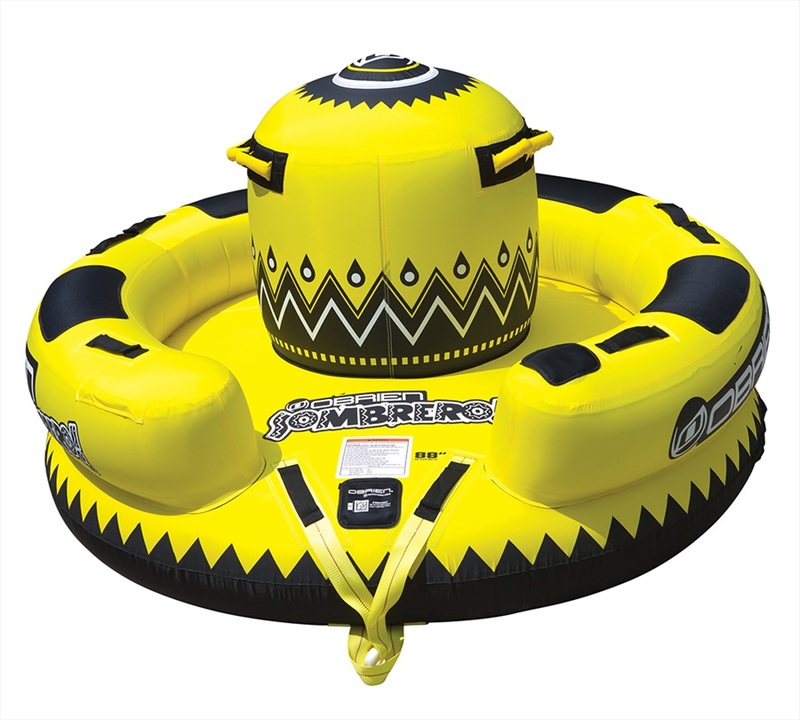 1 rider, 56 inch diameter high quality Towable Inflatable with great features including a Boston Valve and Quick connect hook - normally only found on more expensive tubes. O'Brien Squeeze 2 Wedge Seated Towable Inflatable Tube - for a memorable ride. Jobe Wingman Towable Inflatable Tube with 4 fins so you can control the tube by leaning sideways. The O'Brien Baller Two Way Towable Inflatable Tube - With the ability to be towed in two different directions. The O'Brien Swift 3 Towable Inflatable Deck Tube - looks like a giant bat and flies on the water just like one. Jobe Storm 2 Towable Inflatable Tube - 2 person Tube for aggressive, extreme fun. Jobe 3 rider Giant Towable Inflatable Tube 71" - a large tube for 3 - and you can switch positions on this tube. O'Brien Wedgie 3 Seated Towable Inflatable Tube - the comfort of your favorite recliner with the never-ending thrill of being towed around the lake. 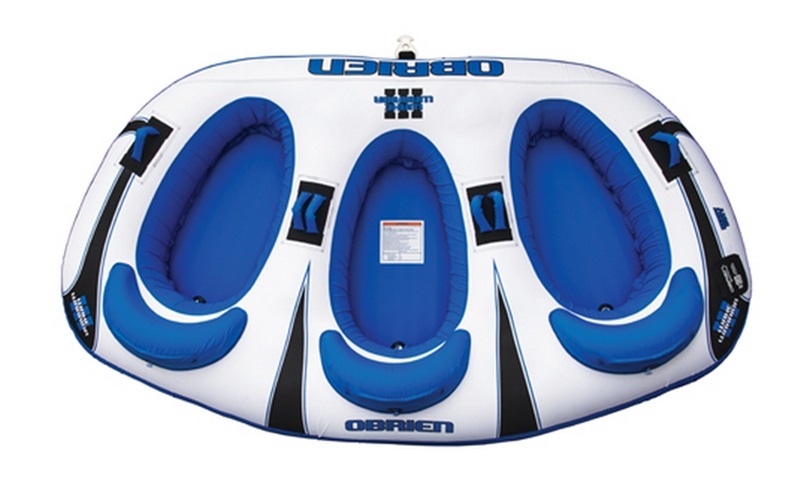 The O'Brien Barca Towable Inflatable Tube for 2 people who want to enjoy a comfortable ride. The new and improved Connelly Fun 3 Towable Inflatable Tube with a bi-directional design that gives riders two totally different experiences. Jobe Revolve 3 Towable Inflatable Tube for 3 riders with 840 denier nylon cover. O'Brien Shuttle 2 Plush Top Towable Inflatable Tube with a plush fleece top cover for two riders. The O'Brien X-Scream Multi Rider Towable Inflatable Deck Tube - perfect for high speed thrills for kids or adult riders. Jobe Charter 4 Rider Towable Inflatable Tube - a fast and lively multi position tube for great fun behind a boat. Jobe Tribal II, 2 rider Towable Inflatable Tube - a real thrill-seekers favourite. O'Brien Party Lounge Inflatable for 6 loungers - non towable tube. The O'Brien Apex 3 Multi position Towable Inflatable Tube - an exhilarating ride on this lounger shaped tube. If you need room for two - The O'Brien Super LeTube is the 2-person version of the classic LeTube. O'Brien Chiller 2 Seated Towable Inflatable Tube - Low Profile Design. 2019 O'Brien Wake Warrior 2 - Cockpit Series Tube for 2 Riders. New for 2019 The O'Brien Booker U Deck Towable Inflatable Tube for up to two riders. 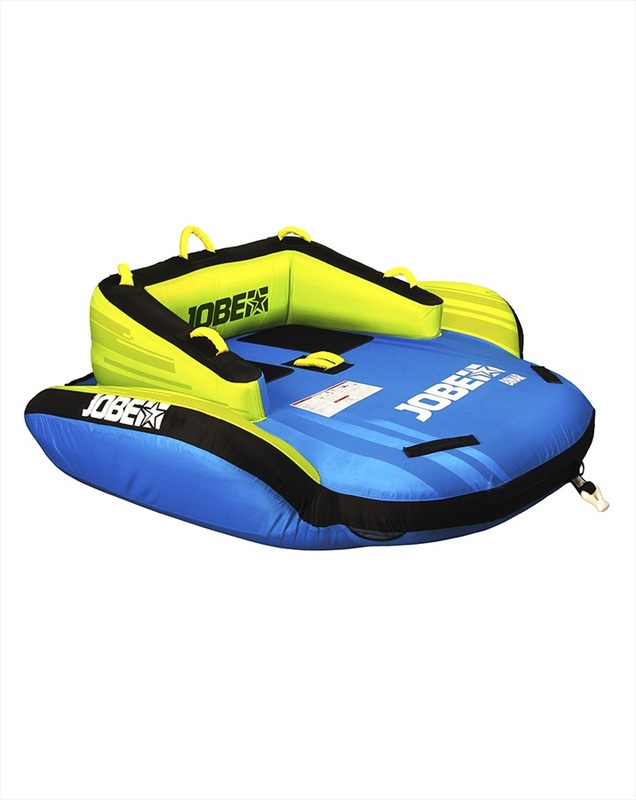 Jobe Hotseat 1 Rider Towable Inflatable Tube - one of Jobe's fastest and strongest towables. Connelly Cruzer Towable Inflatable Tube for 2 to 3 riders - deck-style tube constructed with a tapered design for increased speed. The Connelly Fun 4 Towable Inflatable Tube - bi-directional design that gives riders two totally different experiences. O'Brien Tubester - the least expensive tube, but with all the features and durability you would expect from O'Brien. Connelly Hot Rod Towable Inflatable Tube - deck style tube which blends performance and speed behind the boat. The new and improved Connelly Fun 2 Towable Inflatable Tube has an innovative hybrid design that gives riders two totally different experiences. The O'Brien Slacker Towable Inflatable Tube for two people who want to enjoy a comfortable ride. Connelly Convertible Towable Inflatable Tapered Concave Deck Tube - tapered front to back design for increased speed and handling. O'Brien Boxxer 2 Towable Inflatable Deck Tube - 35% thinner than the Super Screamer, so easy to get on and enjoy a fast ride. Jobe Double Trouble - Sitting Style Inflatable Towable Tube. Maximum fun for 2 riders. Jobe Chaser - 2 Rider Towable Inflatable Tube - a banana style for all levels of rider. The Connelly Wing 2 Towable Inflatable Tube is ideal for 2 riders sitting side by side or one prone rider. A fun, economical tube. Jobe Airstream II Towable Inflatable Tube - a 2 man prone tube which is a top seller! O'Brien Flip Out Extreme Towable Inflatable Tube - part towable and part lounger - a tube with something for everyone! Jobe Scout 2 Multi-position Towable Inflatable Tube - a 2-person towable that can handle all your crazy positions and is easy entry.